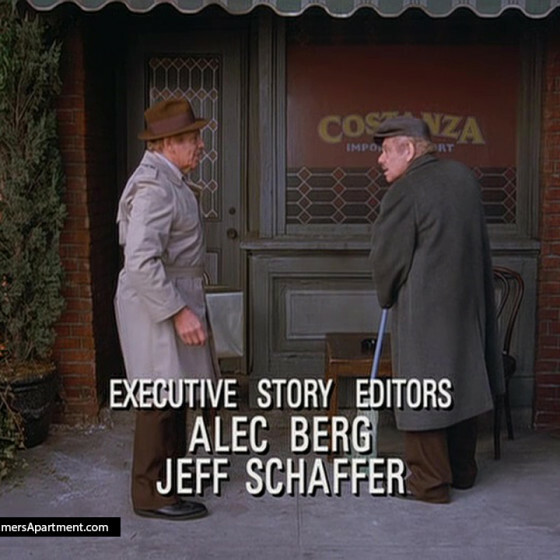 Carlo Costanza is Frank Costanza’s long lost Italian cousin. 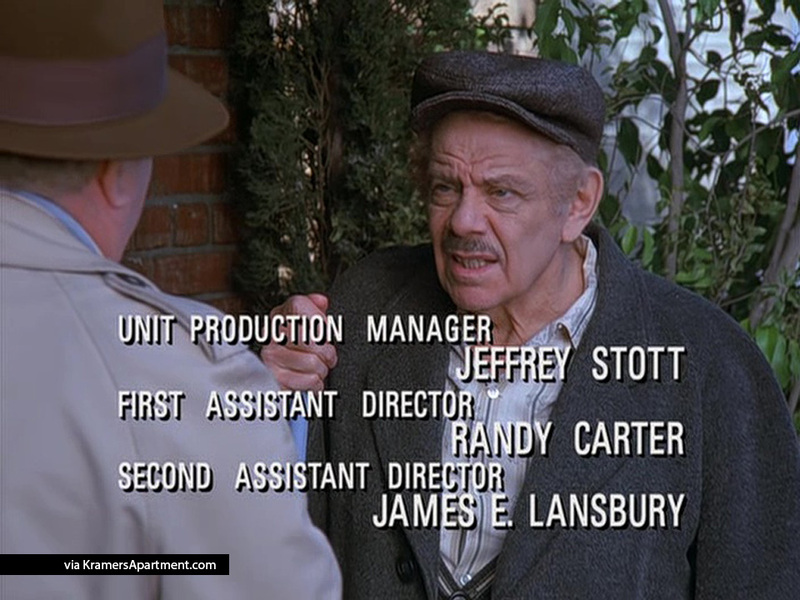 Carlo Costanza is played by Jerry Stiller. 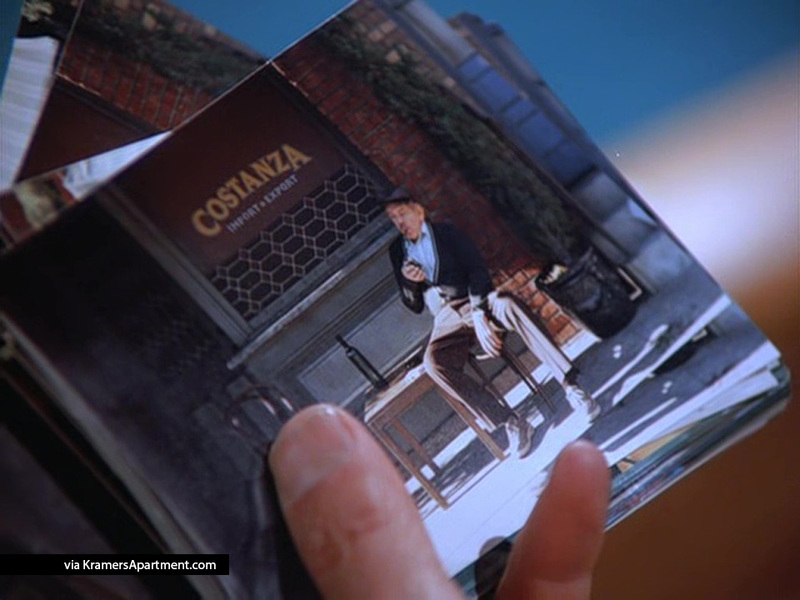 Frank sees one of Elaines pictures from her trip to Tuscany and recognizes his long long cousin Carol Costanza. 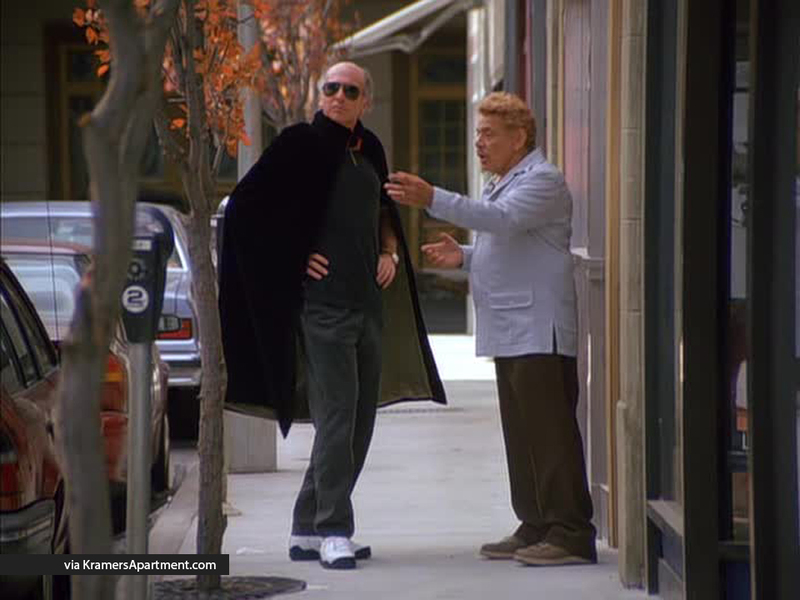 At that end of that episode Frank travels to Tuscany to meet Carlo, who reveals that he is actually a man named Giuseppe. Elaine: Frank, did George ever show you that photo? 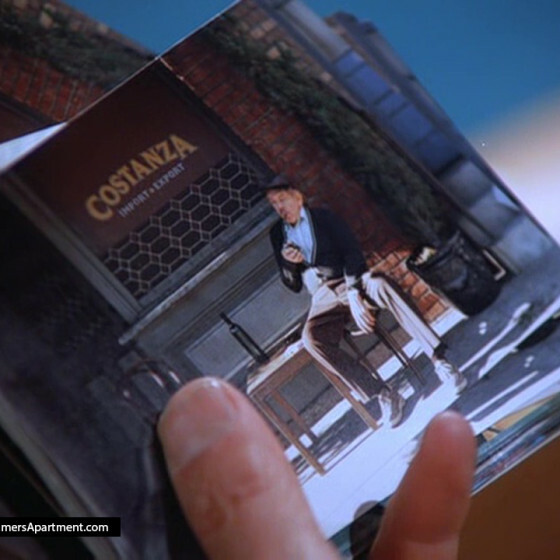 Elaine: You know, the photo I took in Tuscany of the little man in front of the sign that said “Costanza”? Frank: There’s a Costanza in Tuscany? Did he look like me? Did you talk to him? Elaine: I didn’t talk to anyone – I was just walking by, and I saw the sign, and I thought George might get a kick out of it. Frank: I gotta get that picture – it could be my cousin, Carlo. George: When the Costanzas came here, one brother stayed behind. Frank: I played with him every day until the age of four – and then we separated. Elaine: So, you weren’t born here? Frank: No. That’s why I can never be president.. It always irked me. That’s why, even at an early age, I had no interest in politics. I refuse to vote. They don’t want me, I don’t want them! Frank: Don’t bring me down. Do you have another copy of that photo? Elaine: No, I, I don’t. But.. Well, the Maestro might. Elaine: He’s this guy that I went to Tuscany with. 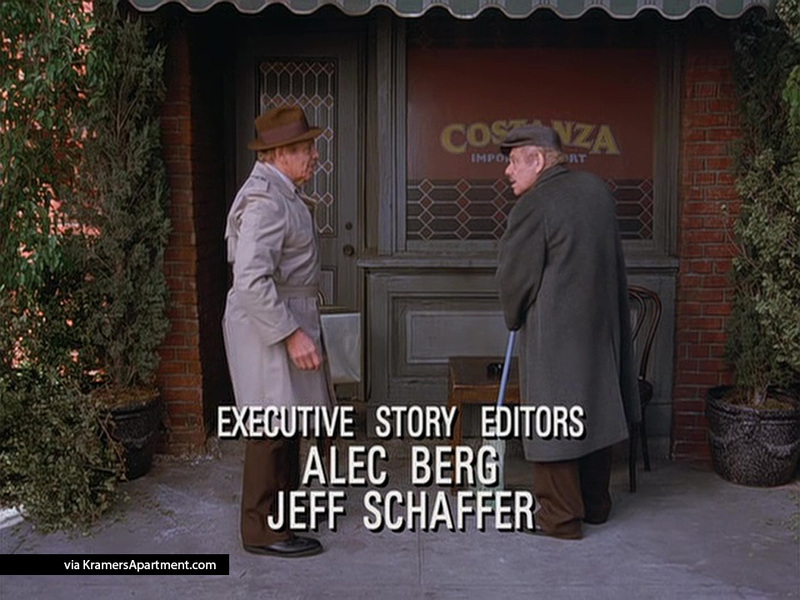 Frank: His name was Carlo Costanza. We played together every day until I was four. If I could just look through your photographs, maybe I could recognize him. Maestro: Unfortunately those photographs are at home. Kramer: Now this is remarkable. I’m lounging, and yet, my pants remain perfectly creased. Frank: It’s him! 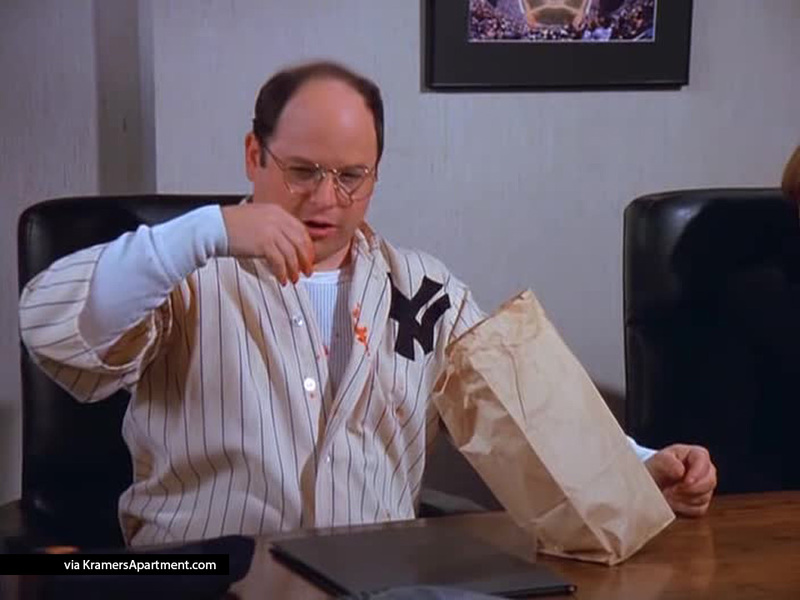 It’s Carlo Costanza! 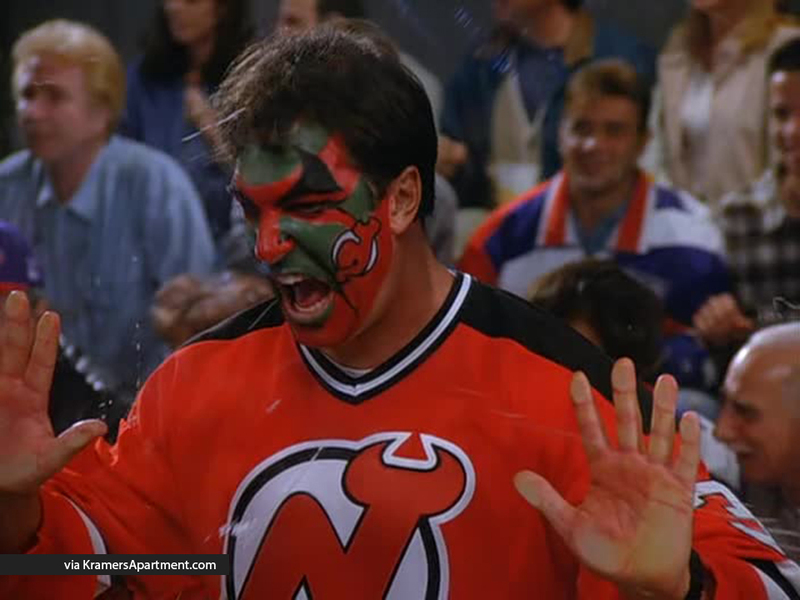 Kramer: Come on. Are you sure? Frank: I’d know him anywhere. Maestro: I’ve seen that man in Tuscany. Eccentric fellow. Reputation of being kind of a village idiot. Frank: I still say we’re related. Frank: Here, take a look at this. Estelle: Yeah, what is it? Frank: It’s Carlo. I found him! Estelle: You’ve been cooped up in this room too long. Frank: You never support me! Let’s see what George says about this.. Where’re my pants? Frank: Carlo! It’s me, Frank! I’m your cousin, Frank! Aren’t you Carlo? Man: Carlo? No. Mi nome e Giuseppe.